Reading and share top 8 famous quotes and sayings about Bugs Bunny by famous authors and people. 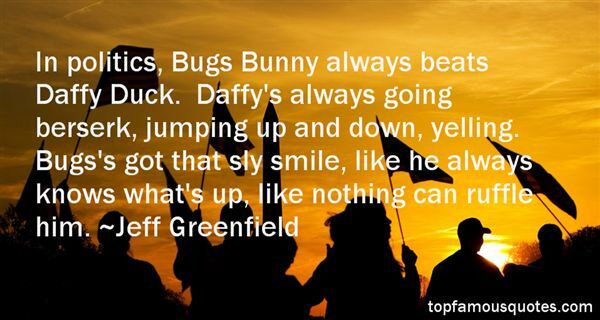 Browse top 8 famous quotes and sayings about Bugs Bunny by most favorite authors. 1. "I'd love to be animated. 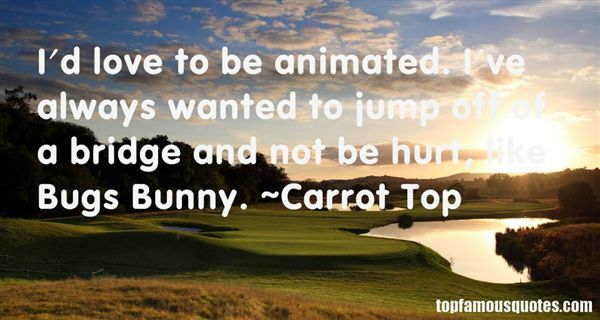 I've always wanted to jump off of a bridge and not be hurt, like Bugs Bunny." 2. "I have to think as Bugs Bunny, not of Bugs Bunny." 3. 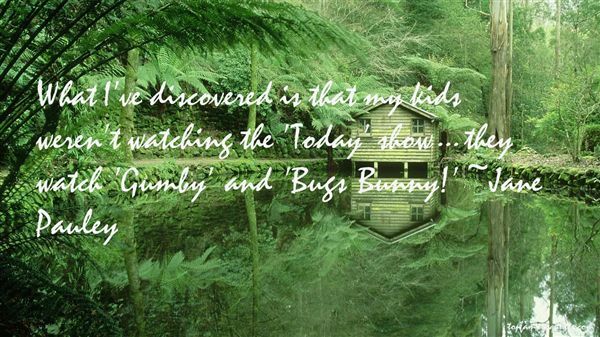 "What I've discovered is that my kids weren't watching the 'Today' show... they watch 'Gumby' and 'Bugs Bunny!'" 4. "In politics, Bugs Bunny always beats Daffy Duck. Daffy's always going berserk, jumping up and down, yelling. Bugs's got that sly smile, like he always knows what's up, like nothing can ruffle him." 5. "Back then, my idol was Bugs Bunny, because I saw a cartoon of him playing ball - you know, the one where he plays every position himself with nobody else on the field but him? Now that I think of it, Bugs is still my idol. You have to love a ballplayer like that." 6. "I fantasize and idealize myself as Bugs Bunny, but I know deep down I'm Daffy Duck." 7. "It's not really a guilty pleasure, but I love old cartoons. I could watch Bugs Bunny and Tweety all day long." 8. "If you could buckle your Bugs Bunny wristwatch to a ray of light, your watch would continue ticking but the hands wouldn't move. That's because at the speed of light there is no time. Time is relative to velocity. At high speeds, time is literally stretched. Since light is the ultimate in velocity, at light-speed time is stretched to its absolute and becomes static. Albert Einstein figured that one out." I don't reckon misery loves any damn thing at all."